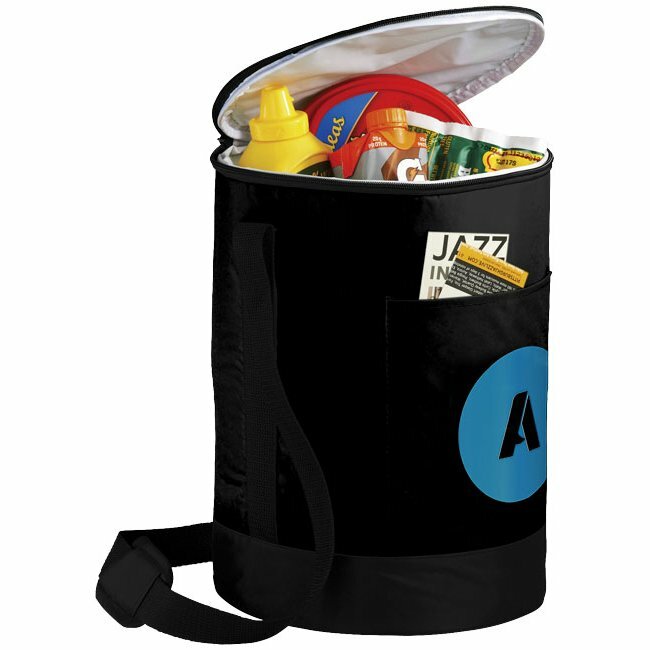 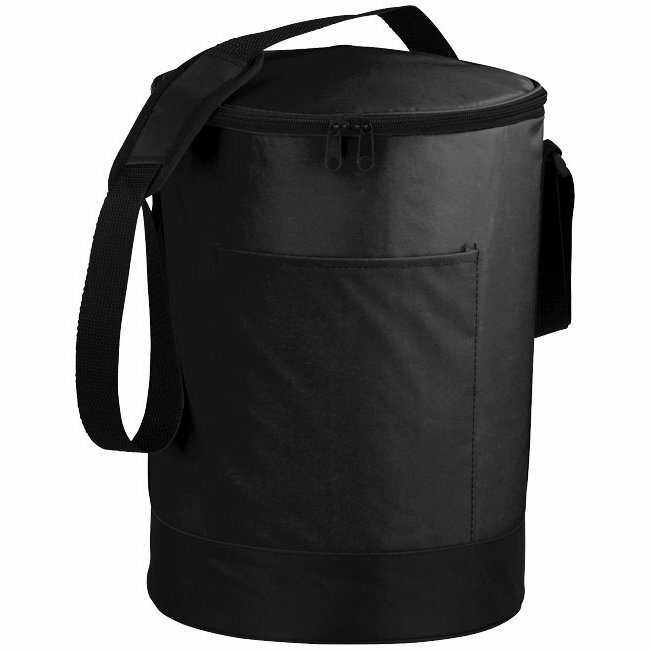 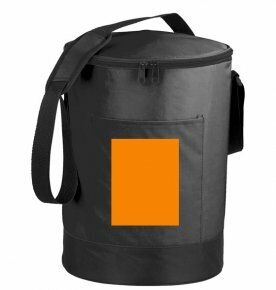 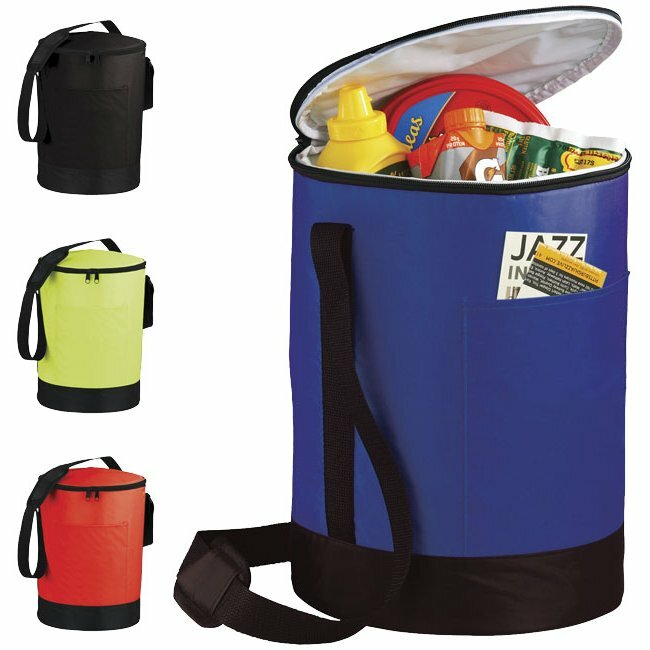 Event cooler bag with barrel shaped zipped main compartment. 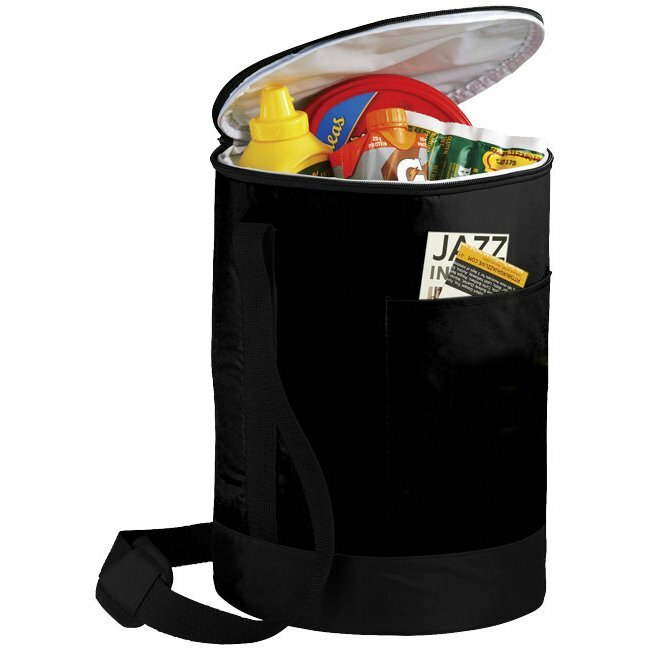 Open front pocket. 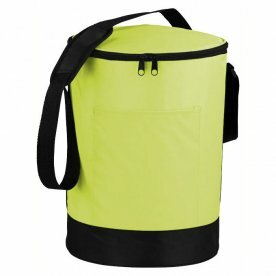 Mesh pocket. 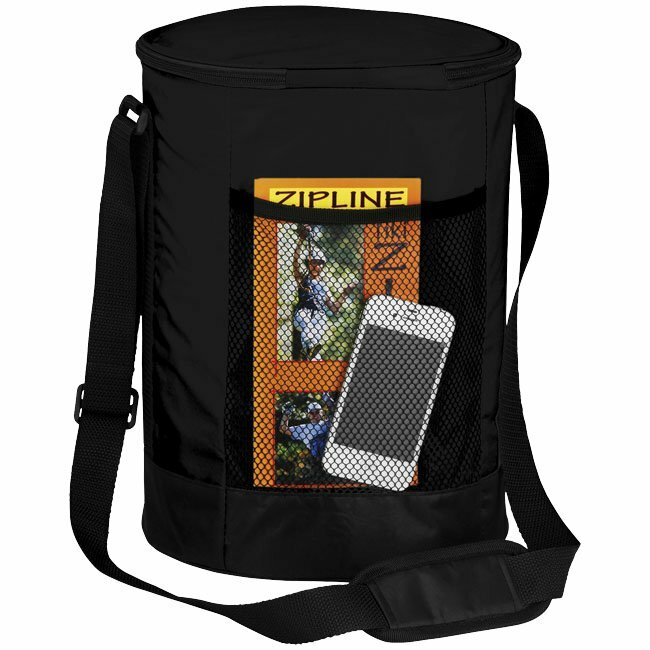 Adjustable, padded shoulder strap. 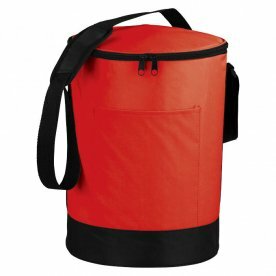 PEVA insulation.